Fulfillment for the implementation of the investments foreseen for the year 2017, the Infratróia acquired new equipment for waste disposal and street furniture. By the end of the year will be replaced 50 containers of 1100L in the residential area of Soltróia, as well as containers of the allotment of the UNOP 2. 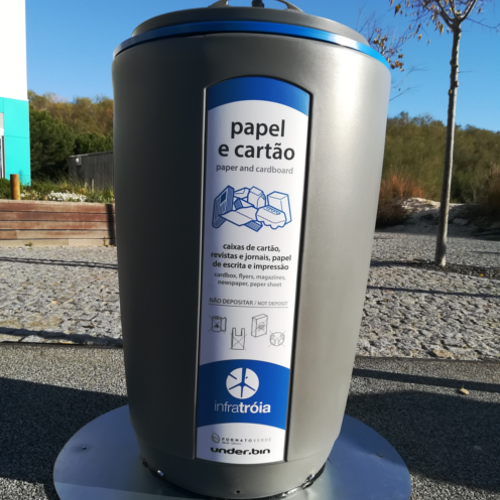 The existing street furniture in Troy will also be renovated with the installation of new litter bins in rooms whose cleanliness is taken by Infratróia, in particular on UNOP 1 (urban core). The ecological islands of Troia have new marks of deposition which will ensure greater security and better functionality for customers.